NATIONAL MUSEUM OF AUSTRALIAN POTTERY 76 Albury Street, Holbrook. N.S.W. 2644. Holbrook is on the Hume Highway between Sydney and Melbourne. This is a private museum owned by Geoff and Kerrie Ford, which has on display pieces of Welham pottery. Geoff is the author of the book "Australian Pottery: The First 100 Years" and there are four pages of Welham history and coloured photographs included. We now have 8 pieces of Nathan Welham salt glazed pottery on display in our Museum, a spirit barrel, a bung jar, a pudding bowl, a lidded jar, a pickle jar, a ginger beer bottle and 2 safe stands or ant traps, one of which we are prepared to sell. I have attached a photograph of it, in which you can see it has some damage, they both have. In case you don’t know, each leg of a table or meat stand was placed inside the centre section then water was poured into the outer section which stoped the ants getting onto the table or into the meat safe. We are only asking $55 plus postage for it if you are interested. As you probably know Nathan Welham’s pieces very rarely come up. If you are not interested you may know a relation who would be. Please let us know the address of your Website for Welham descendants. We are happy for you to mention our museum and our book “Australian Pottery: The first 100 Years” on the site. NATIONAL GALLERY OF AUSTRALIA - Parkes Place, Canberra, A.C.T. 2600. Has in storage the Welham Money Box . You may arrange, prior to your visit there, to have it taken to a viewing room at a pre-arranged time. NEWCASTLE REGIONAL MUSEUM – Workshop Way, Honeysuckle, Newcastle N.S.W. 2300. Thanks for your enquiry about Welham pottery on display at the NewcastleMuseum. We have two pieces of Welham pottery in our collection. Unfortunately neither piece is on display at present as our entire museum was redeveloped and exhibitions altered. 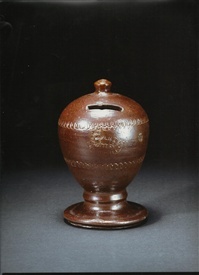 Terracotta Australis was an exhibition created in the 1990s from many private loans which have been returned. 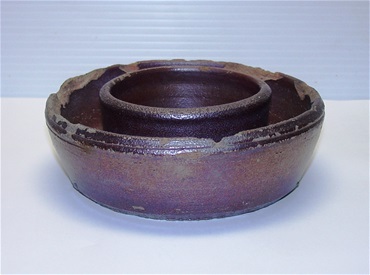 The objects can be viewed on line in our database, http://collections.ncc.nsw.gov.au/keemu/pages/nrm/index.htm but I have also attached our data sheets for your information. I hope this is of assistance for your family website. THE NEWCASTLE & HUNTER VALLEY BOTTLE AND COLLECTABLES CLUB Newcastle, N.S.W. Contact them if you are interested in purchasing a piece of Welham pottery. Bear in mind that Welham pottery is rare and the most likely item you could be offered is a ginger beer bottle. Reprinted with Supplementary Material by Newcastle Family History Society Inc.
53 Union St, Milton, OTAGO, New Zealand. Gail Henry's book "New Zealand Pottery Commercial and Collectable" has two pages in Chapter Two with information on Nathan Welham.